CompactFlash (CF) has been around since the mid-1990s, but has since been replaced in a number of consumer products by smaller form-factor options. However, it is still a very popular format for professionals and also in industrial environments, as the card is simply much sturdier than other cards in mechanical and electrical terms. As the popularity of the form factor and interface decreased in consumer electronics, relatively few controller vendors have invested in new controllers and into supporting recent flashes. Hyperstone is dedicated to long-term interface support, not only through continuous firmware updates that add new flash support, but also by providing long-term roadmap support. 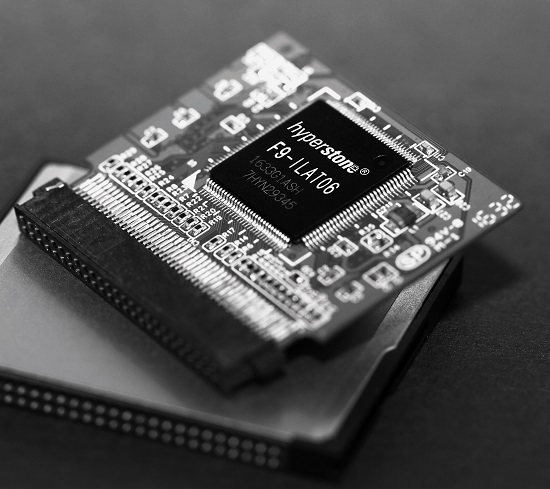 Consequently, Hyperstone has just recently released the F9 CF controller.